Composite Fillings | Schaumburg, IL | Harry J. Kiriluk, DDS, Ltd.
One option for repairing front teeth is bonding. 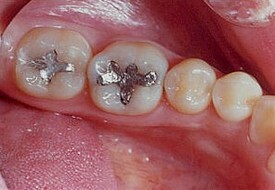 In this case a young man had broken his two front teeth while playing hockey. Since he was anxious to return to school, we needed a one appointment solution and bonding was selected. It provides immediate esthetic results, but in the long run is more likely to require some maintenance compared to crowns. 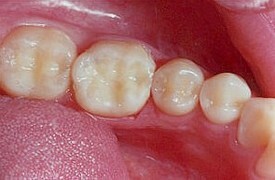 In most situations, white fillings are becoming the standard for treating small to medium areas of decay. Not only are they more aesthetic, but because we bond white fillings to the tooth, they are less likely than silver to break down around the edges where the filling and tooth meet.